Tom's Journey Through This Crazy Thing Called LIFE! : Getting Closer and More Than Ready! I guess it is just hard to believe that this is really happening. This is my third try at this. The other two times insurance shot it down before we even got started. But this time was different and there are a few key points why. 1. I had a medical professional who not only has worked with me and supported me all the way through this. (she is the one that really got the ball rolling) but believed in me. 2. A bariatric team that, as far as I am concerned, is the top in the world! Dr Hanly, Karen, Summer, Mary Lou, Coleen, Kay and the whole gang! 3. A church family that have made this journey every step of the way with me. 4. Support and encouragement from around the world. Literally! 5. Family that although they are not completely on board, most are not stumbling blocks. 6. Many friends from my many journeys in life who through networking like Facebook and Twitter have joined this journey with nothing but great support. 7. The Support group and friends I have made through the clinic that have shared stories, concerns, and victories. (Thanks Mike, Bobbie, Lisa, Julie, Jerra and so many others that are more than I have time to type. but you all are greatly appreciated and respected by me. 8. And lastly but in no way least, Is My GOD! Without him I would not have had the strength to resist the food temptations, overcome terrible food addictions, the hundreds of people I would have never have met through this blog, twitter and Facebook. 9. The old friends (and if I don't mention your name know I still think about our adventures together) Marni, Katie, Coops, Shannon, Vicky and Michael. Dale and Micheal, Shelly, Greg, Laura, Tony, Mark and so many others. I do have to say what a wonder social networking is. Like all things it can be used badly but it has brought me fond memories of youth through reconnecting with many I had the privilege of growing up with and going to school with. 10. I would be amiss If I did not recognize the Men and Women who have help me get the right paperwork put together when it came to applying for my disability, caseworkers and more, Jim Thank you for your patients and knowledge. 11. I promise to stop even though I could go on for hours but to Sean Anderson. 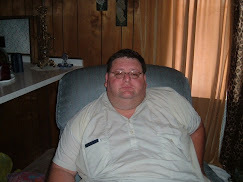 A young man who started out much like me, over 500 pounds and braved the possible ridicule to blog of his journey. 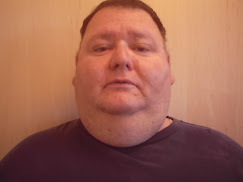 Although are paths differ I know that when I reach that point of where Sean is now I will experience the greatness of freedom from this prison called, Morbid Obesity! So there is my version of mushy. lol I will enter into the second leg of this journey on Feb 2 at 11:15 am. All of your thoughts and prayers are greatly appreciated.